We are pleased to announce the 8th International DAMPs and Alarmins Symposium (iDEAs) featuring leaders in the field of DAMPs, Alarmins and HMGB1 biology and molecular mechanisms. 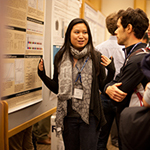 Attendees will benefit from a broad exposure to the roles of these pathways at the molecular, cellular and clinical levels, and have unique opportunities to network with leading experts. 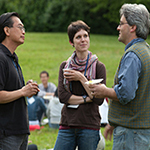 Through its affiliation with Cold Spring Harbor Laboratory, the Feinstein Institute has access to this world-renowned facility for this 8th conference in the series. 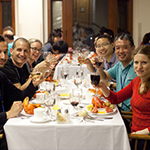 Located on Long Island, less than 30 miles from New York’s John F. Kennedy and LaGuardia airports, with a retreat-like atmosphere, Cold Spring Harbor Laboratory is ideal for hosting symposium faculty and attendees from around the world. iDEAs will take place on Monday, November 6 through Tuesday, November 7, 2017. This schedule will allow attendees to arrive on Sunday, November 5 and still offers the opportunity for extended work opportunities while in New York. The structure allows for a cocktail hour, banquet dinner and poster session with dessert for all participants on Monday evening and a closing poster session and wine and cheese reception on Tuesday evening. The structure of the symposium will include traditional scientific presentations followed by discussion and Q&A. All registrations and abstracts must be submitted by the abstract & registration deadline, October 16, 2017. For general information regarding this meeting, please contact Francesca Petruccelli or Meredith Burcyk at the Feinstein Institute for Medical Research. 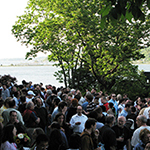 For Cold Spring Harbor Laboratory campus related inquiries, please contact Rachel Lopez.